We delivered the wine red colored table legs which we introduced here the other day to its new home! 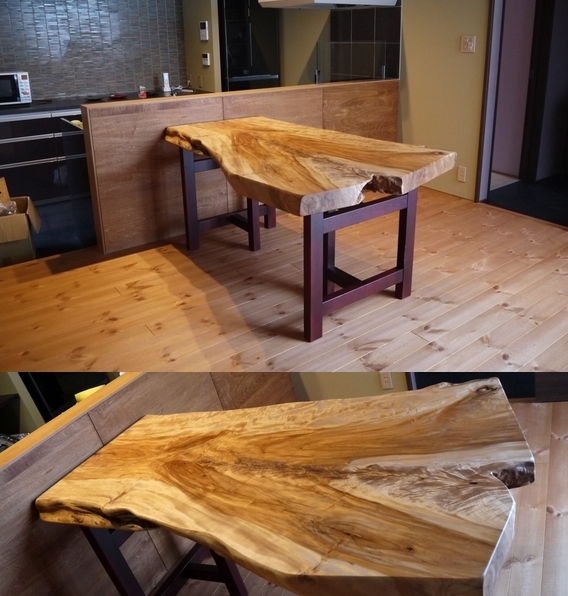 Its top is made of Japanese horse chestnut. It suits this new chic living room perfectly!